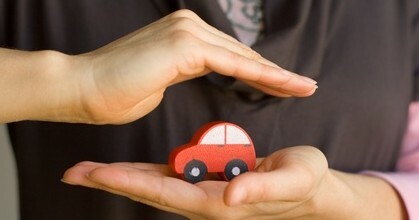 Read and learn more about Virginia car insurance laws, rates, programs and discounts. You must certify whether you have Virginia car insurance so as to register your car. If you are unable or unwilling to get insurance at the time, you need to pay a fee of $500 to the Virginia DMV (registration fee is not included here). This fee of $500 will fulfill your financial responsibility and will allow you to drive uninsured for a period of 12 months. Note that by paying the VA uninsured motor vehicle fee will not mean an automatic protection to your financial responsibilities if you cause an accident. If you cause a car accident, you’ll have to pay for all injuries and damages for which you’re responsible. Comprehensive – To cover non-accident related incidents, like vandalism. Contrary to banks and finance companies that have financed the purchase of your car, VA law does not require you to purchase comprehensive/collision coverage. If you do not purchase comprehensive and collision coverages, your car might be placed under force-placed insurance by your lender and charge you for the premium. The Force-placed insurance is there to protect the lender (but not you); it’ll therefore not satisfy your responsibility mandated by the state. Pay a reinstatement fee for driver’s license (Fines range from $145 – $220). After you’re convicted of certain crimes and traffic violations, you might be needed to take extra steps to certify that you’re compliant with laws of VA financial responsibility. You’ll have to do so by filing either SR-22 or FR-44 certificate via your car insurance carrier. If subject to this requirement, it’s a must that you’ll have to purchase car insurance (this means that you cannot pay a fee for uninsured motor vehicle in lieu of holding policy). In order to fill an SR-22 or FR-44 you’ll be required to pay for higher rates. You can only avoid these rate hikes by driving in a safe manner and obeying the law.